I am seeing my printer listed in handyPrint but I can’t see it on my iOS device? If you see 2G, 3G or LTE AirPrint won’t work since you are not connected to a WiFi network. Make sure your iDevice is connected over WiFi to the same network as your Mac. Sometimes your iDevice may connect to the Guest network and won’t be able to see printers. Some users have reported that turning WiFi OFF and ON again on the iOS device allow for proper advertisements to be sent by the WiFi router. 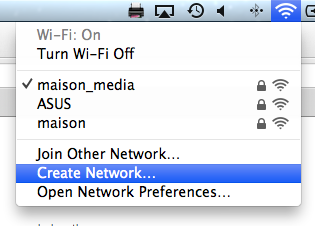 Your router must also support Bonjour (Multicast) for handyPrint to work. Don’t worry, most do. Make sure Multicast is Enabled/Allowed on your router. This is often found under advanced settings on your router control panel. How to actually configure this will vary from manufacturer to manufacturer. Please contact your Router Company for questions regarding Multicast support. Then connect your iOS device to this new network instead of your home network. If printers are showing in the list your router may not be suitable for Apple Bonjour advertisement or your iOS device may be on a different subnet. You may want to try to reboot your WiFi router. This help sometime. Other users have reported that reseting their router to factory defaults also got things working. Another possible source of issue is with Actiontech routers used by Verizon, Sprint, etc. Those routers are known to cause issues with the Bonjour protocol used to AirPrint. Make sure to turn off the IGMP protocol on them and all should be good. You can print from the Apple applications, such as Mail, Safari, Photos, Camera, Maps, Pages, Numbers, Keynote, Filemaker Go, and so on. Apps available from the App Store may also offer this feature. Select the appropriate settings, and then tap Print. Important: If you are printing for the first time, or if the previously selected printer is not available, you will need to select a printer before step 3. Note: AirPrint displays only the essential printer options that apply to the document or image being printed. Details such as media type, page size, and orientation are automatically determined at print time.